Teenagers!You love them to pieces … but sometimes you feel like the pieces are falling apartRelax! Your sanity will survive these rocky teenage years, and so will your teens―provided you set healthy boundaries that work to their benefit and yours. 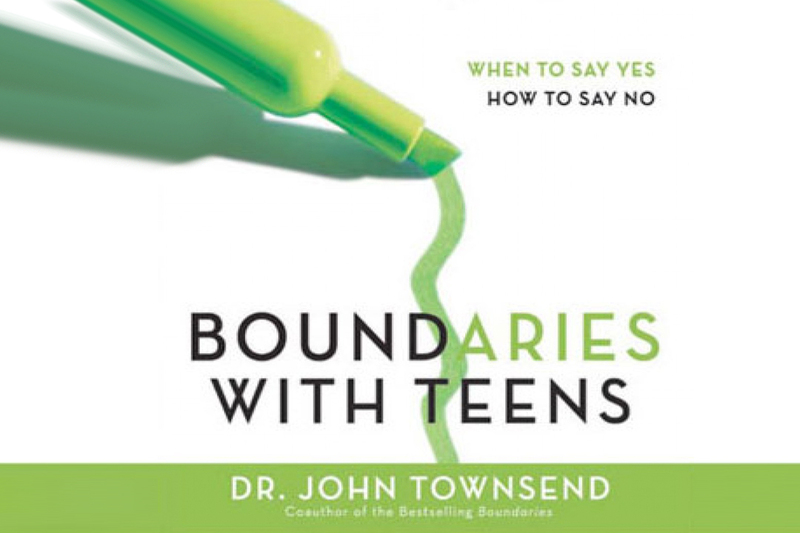 Boundaries with Teens shows you how.From bestselling author and counselor Dr. John Townsend, here is the expert insight and guidance you need to help your teens take responsibility for their actions, attitudes, and emotions and gain a deeper appreciation and respect both for you and for themselves.With wisdom and empathy, Dr. Townsend, a father of two teens himself, applies biblically based principles for the challenging task of guiding your children through the teen years. He shows you how to:• deal with disrespectful attitudes and impossible behavior in your teen• set healthy limits and realistic consequences• be loving and caring while establishing rules• determine specific strategies to deal with problems both big and smallDiscover how your teenager thinks. Learn how to apply biblical principles to specific problems. Boundaries with Teens can help you establish wise and loving limits that make a positive difference in your adolescent, in the rest of your family, and in you.